Special celebrations call for special treats and McDonald’s has always delighted customers with desserts fit for every occasion. 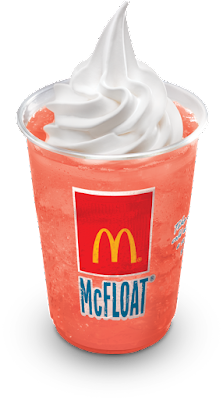 This month, with Valentine’s Day just around the corner, McDonald’s has found a way to make customers feel and share the love with its first ever Love Desserts! Starting February 5, Filipinos can indulge in McDonald’s New Sweethearts — limited-time offer love-inspired desserts that are sure to make moments sweeter during this season of hearts. Three new desserts are up for grabs for people who like to treat themselves or share happiness with their sweethearts, may it be their significant others, children, parents, relatives, or barkada. Those who adore McDonald’s classic sundae flavors will surely enjoy the Strawberry Kiss Oreo Sundae — creamy vanilla soft serve embraced by luscious strawberry syrup and topped with crushed Oreos. This treat can surely pass as one’s new crush. It will be love at first sip for McFloat fans with the new Red Velvet McFloat. This treat that is Sprite with a blend of red velvet syrup, topped with a swirl of vanilla soft serve, will make customers fall in love with its sweetness and savor its refreshing taste. 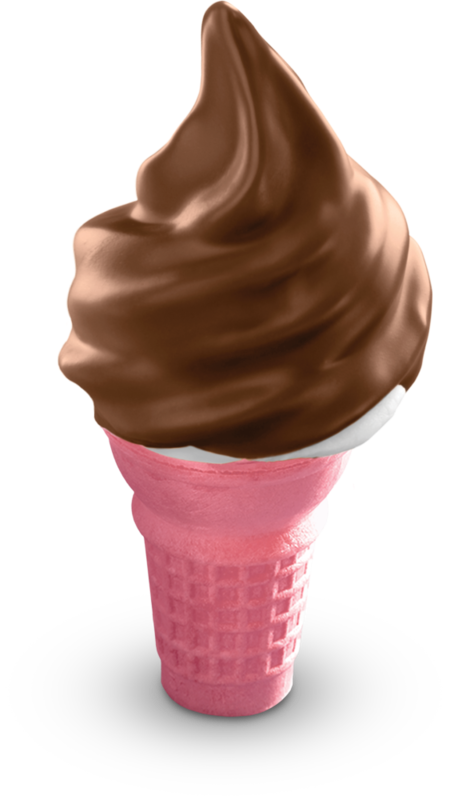 Rounding up McDonald’s New Sweethearts is the Choc Nut McDip — vanilla soft serve dipped in Choc Nut-flavored sauce, and served on a pink wafer cone. To make the offers more exciting, customers can get two desserts of the same kind for a lower price! With this great deal, sweethearts can definitely share sweeter moments together. Also available are the Fries N’ Strawberry Kiss Oreo Sundae Combo, Fries N’ Red Velvet McFloat Combo, and BFF Fries N’ Red Velvet McFloat Combo. The love month surprises from McDonald’s do not stop there! Beginning February 12, all succeeding Fridays, Saturdays, and Sundays of February will give desserts fans a chance to avail of the Love Desserts Buy One Take One promo. 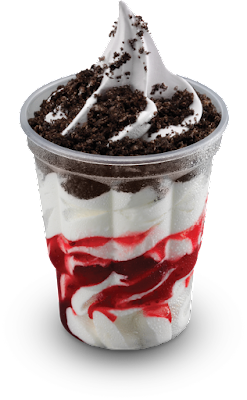 For every purchase of the Strawberry Kiss Oreo Sundae and Red Velvet McFloat, customers can get another dessert of the same kind for free. 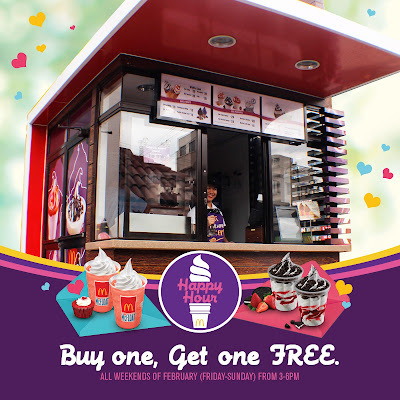 The promo is available from 3:00PM to 6:00PM in all Dessert Centers in Metro Manila only. McDonald’s New Sweethearts are available for a limited time only at all McDonald’s stores nationwide.